We join Helice Wen at her SF studio and talk with her about coming from Shenzhen China, studying as an illustrator at the Academy of Art, discussing the possible narrative in her work, expressing drama, sumi ink, and more. 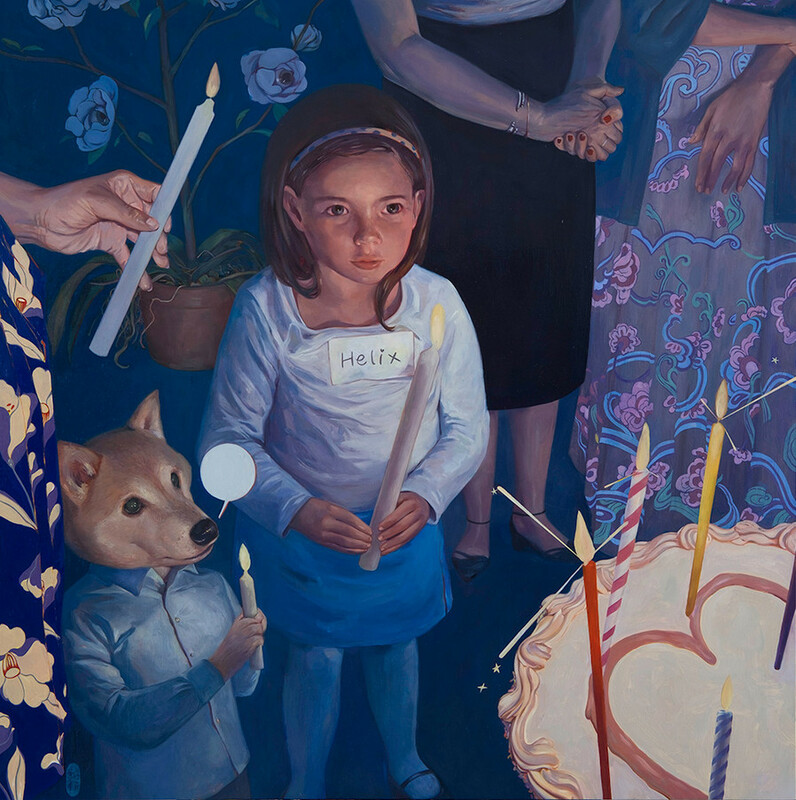 We discuss her paintings “Woven” and “Cake(May All Your Wishes Come True)”, sharing more of yourself in the stories you tell about your art, muralling, and Sergio’s Question Corner! Helice shares her “art circus” David Choe Money idea. See her new painting at the "Femme" Group Exhibition at Mana Contemporary March 2019. "Cake (May All Your Wishes Come True)"